ST. GEORGE — A report released Monday by the FBI shows that 118 law enforcement officers were killed in the line of duty in 2016. Of those deaths, 52 were accidental and 66 were felonious. Three of those deaths occurred in Utah. Additionally, 57,180 officers were assaulted in the line of duty with nearly 30 percent of those officers sustaining injuries, according to the FBI’s annual Law Enforcement Officers Killed and Assaulted, or LEOKA, report. In contrast, in 2015, 45 officers died accidentally and 41 were feloniously killed in the line of duty. There were 50,212 assaults against law enforcement listed in the 2015 LEOKA report. The FBI collects data about the circumstances surrounding assaults against law enforcement and officer deaths through its Uniform Crime Reporting Program. The data is collected from campus, local, state, tribal and federal law enforcement agencies, as well as FBI field offices and nonprofit organizations that track line-of-duty deaths, according to the FBI. The data collected is used to provide officer safety training to law enforcement officers across the country. The average age was 40 years old with an average of 13 years of law enforcement experience. Sixty-four of the officers feloniously killed were men and two were women. Nearly all the officers were killed by firearms – 62 out of 66. Of the 62 officers killed by firearms, 51 were wearing body armor at the time they were killed. Four officers were killed intentionally with vehicles. The most common categories of circumstance surrounding officers’ line-of-duty deaths were ambushes with 17 deaths, followed by answering disturbance calls accounting for 13 deaths, and investigating suspicious people or circumstances accounting for nine deaths. The average age was 38 years old with an average of 11 years of law enforcement experience. Fifty of the officers accidentally killed were men and two were women. Half of the law enforcement officers killed accidentally in 2016 were killed in auto accidents – 26 of the 52. Additionally, 12 were struck by vehicles and seven were killed in motorcycle accidents. 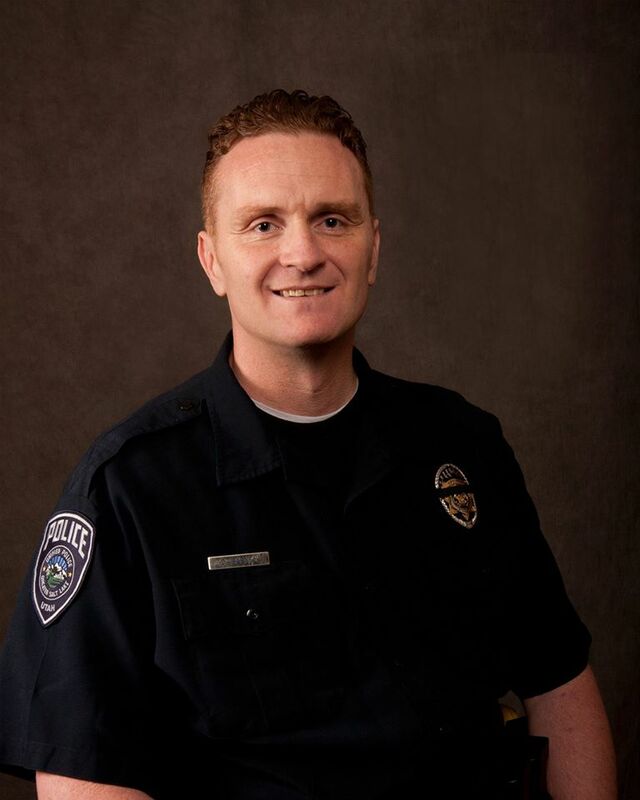 On the morning of Jan. 17, 2016, Douglas Barney – a 44-year-old officer with the Unified Police Department in Salt Lake City – was shot and killed while investigating a traffic accident, and 51-year-old Officer Jon Richey was injured while attempting to arrest the suspect involved. Barney, an 18-year veteran of law enforcement, responded to the accident where at least one man had fled the scene. Barney, who was wearing body armor, located a potential suspect and informed dispatch he was going to make contact with the man. Minutes later, Richey, a 32-year veteran of law enforcement, arrived on scene with two other officers and discovered Barney on the ground with a gunshot wound to the front of his head from a 9-mm semiautomatic handgun. Barney’s service weapon was still in its holster. The three officers followed footprints to a nearby residence where they located the suspect standing in the front yard. The officers exchanged gunfire with the suspect. Richey, who was also wearing body armor, was struck in the front below the waist and rear below the waist in both legs. During the exchange of gunfire, the suspect was also struck and determined justifiably killed at the scene. Barney and Richey were transported to a nearby hospital where Barney succumbed to his injury. Richey recovered from his injuries, but at the time the incident was reported to the FBI, he had not yet returned to duty. The 31-year-old suspect had a prior criminal record including a violent crime, weapons violation and drug law violation. He was on parole at the time of the incident. 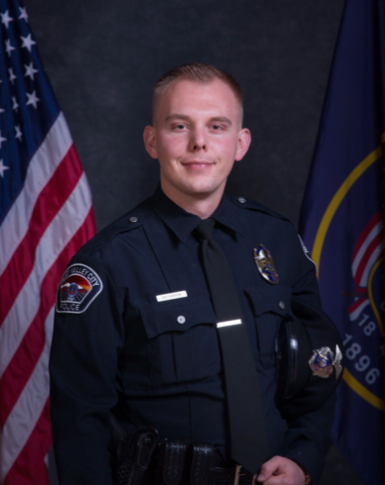 Cody Brotherson, a 25-year-old police officer with the West Valley City Police Department, was killed on Nov. 6, 2016, when he was intentionally struck by a vehicle while responding to an ongoing traffic pursuit. At 3:25 a.m., Brotherson, who had nearly three years of law enforcement experience, responded to assist other officers who were pursuing a stolen vehicle. Brotherson was in radio contact with the pursuing officers when he pulled his patrol car to the side of the road approximately a half mile ahead of the fleeing vehicle. With visual confirmation of the oncoming vehicle, Brotherson walked into the roadway and deployed a tire deflation device into the intended path of the car. As Brotherson, who was wearing body armor, exited the roadway to a position of cover, the suspect steered the vehicle into the opposite lane, then into a turning lane and struck Brotherson with the vehicle. The suspect briefly continued to drive, dragging Brotherson until the vehicle left the roadway and came to a stop in an open area on the roadside. The three occupants of the stolen vehicle fled on foot toward an adjacent residential community. Responding officers located the suspects in the neighborhood shortly after the incident. The 15-year-old suspect had a prior criminal record which included a violent crime. He was charged with murder with gang enhancement, vehicle theft, failure to stop at the command of a law enforcement officer and obstruction of justice. 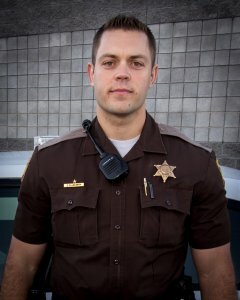 In November 2016, Trooper Eric Ellsworth, a seven-year veteran of the Utah Highway Patrol, responded to a report of a low-hanging power line near 13600 North and state Route 13 in Box Elder County. Ellsworth, 32, of Brigham City, was waiting for a power company crew when he stepped out of his patrol car to alert the driver of an approaching semi of the sagging power line. While doing so, the trooper was struck by a 16-year-old girl driving a 2006 Chevy sedan, according to the Box Elder County Sheriff’s Office. Ellsworth was transported to a hospital in Bear River with life-threatening injuries before being flown to Intermountain Medical Center in Murray. On Nov. 22, 2016, four days after he was struck by the vehicle, Ellsworth died from his injuries. The report contains a separate section on federal law enforcement officers who were killed or assaulted in the line of duty last year. According to the 2016 federal data, one federal law enforcement officer was killed and 324 were injured. In 2016, the FBI collected assault data from 12,421 law enforcement agencies that employed 586,446 officers. These officers provided service to more than 268.2 million persons, or 83 percent of the nation’s population, according to the report. Law enforcement agencies reported that 57,180 officers were assaulted while performing their duties in 2016, the report states, adding that the rate of officer assaults in 2016 was 9.8 per 100 sworn officers. 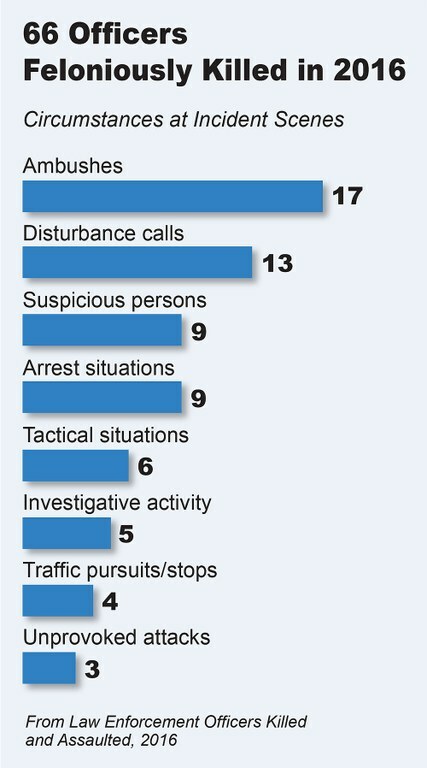 31.4 percent of the officers who were attacked with personal weapons – e.g. hands, fists or feet – suffered injuries. 11.9 percent of officers who were attacked with firearms were injured. 10.8 percent of the officers who were assaulted with knives or other cutting instruments were injured. 23.3 percent of officers who were attacked with other dangerous weapons were injured. Full respect, but Just for perspective. Law inforcment killed 957 citizens in 2016 in the US. That is 70 times more than the average for 1st world countries. In the UK in 2016 police killed 4 citizens. Germany in 2012, 1 death by police. Also, the US has approximatly 5% of the world population….. but we have 20% of the world prision population. We are known as Incarceration Nation. One would think that would translate into low crime rate…Unfourtunatly we have far and away the highest murder rate of 1st world countries, 5 to 10 time more homicides. Maybe this is better left unsaid. In the US prisons are a money making venture. Too many convicts are in there just from using drugs–lot of nonviolent offenders. They also warehouse a lot of the mentally ill in jails and prisons. This country can do a lot better. I don’t know if its a failure of policy or what it is…. Really ? OMG LOL ! Bob finally admits he’s not the know it all ! Wow unbelievable you didn’t write one of your 600 word conspiracy theories. …WOW !